1982-1998 BMW 318i. · For gasoline vehicles (pump life may be diminished when used with E85 fuel). The 340 Fuel Pump is a high-output, in-tank, electric fuel pump that fits most popular EFI applications. 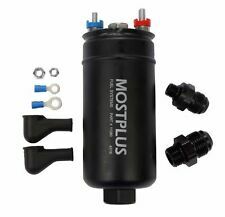 The MOSTPLUS 380lph High Flow, High Pressure Fuel Pump for high performance naturally aspirated and forced induction EFI vehicles is now available. 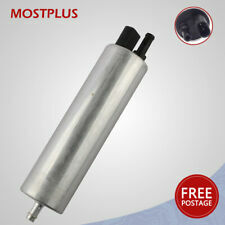 The High Flow, High Pressure Fuel Pump can be installed externally or in-tank. · Off set inlet easily to install. · 38mm compact design with quiet operation. · 1 x Fuel Strainer. 1993-1997 Mazda MX6. The 340 Fuel Pump is a high-output, in-tank, electric fuel pump that fits most popular EFI applications. It is a compact, lightweight pump that bolts into many existing hanger assemblies. The 340 Fuel Pump is a high-output, in-tank, electric fuel pump that fits most popular EFI applications. It is a compact, lightweight pump that bolts into many existing hanger assemblies. What sets the 340 Pump apart is its superior flow throughout a wide pressure range. Land Rover Freelander TD4 In Tank Fuel Pump. Suitable for: Freelander TD4 (2000-2002). (Which is just a fuel sender unit not a fuel pump!). 4 Pin Connection, If your fuel Pump & Filter are mounted. under the bonnet, this is the correct pump for you. BMW - 3 (E46) - 318 d 09.01 - 03.03 Saloon 85 116 1951. BMW - 3 (E46) - 318 d 03.03 - 02.05 Saloon 85 116 1995. BMW - 3 (E46) - 320 d 04.98 - 09.01 Saloon 100 136 1951. BMW - 3 (E46) - 320 d 09.01 - 02.05 Saloon 110 150 1995. BMW - X5 (E53) - 3.0 d 05.01 - Closed Off 135 184 2925. Since 2001, we have started to manufacture the fuel pump for after market. Diesel Fuel Pump for Land Rover Freelander 2001 02 03 04 05 06 2.0Td4 WQB10048L. 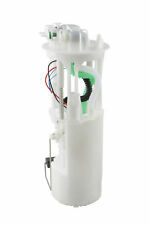 Intank Fuel Pump for BMW E34 E32 E31 535i 750iL 850Csi V8 V12 16141180318replace. Offset inlet easily to install. 1 x Fuel Pump. BMW 525i(E34) 1991-1995 2.5L. BMW 525iT(E34) 1993 2.5L. BMW M5(E34) 1988-1993 3.5L. Diesel Fuel Pump for Land Rover Freelander 2001 02 03 04 05 06 2.0Td4 WQB10048L. Since 2001, we have started to manufacture the fuel pump for after market. ROVER - 75 Tourer (RJ) - 2.0 CDT 08.01 - 05.05 Estate 85 115 1950. · 38mm compact design with quiet operation. · 1 x Fuel Strainer. · Offset inlet easily to install. · 38mm compact design with quiet operation. · 1 x Universal connector. · 1 x Fuel Strainer. · Off set inlet easily to install. 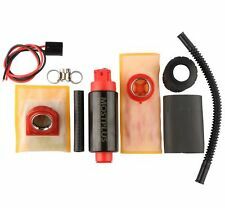 · Off set inlet easily to install. · 1 x Fuel Strainer. · 38mm compact design with quiet operation. Polaris Ranger 6X6. Polaris Ranger 500 EFI up to 2010. Polaris Ranger 700 EFI up to 2010. Polaris Ranger 800 EFI up to 2010. · 1 x Fuel Strainer. · Current: 5.0A. · Off set inlet easily to install. · Flow Rate:110LPH. · Offset inlet easily to install. · 38mm compact design with quiet operation. · 1 x Fuel Strainer. · 38mm compact design with quiet operation. · 1 x Fuel Strainer. · Offset inlet easily to install. For ★★★★ ★ ISO/TS16949 & QS900 STANDARD. Techinal Data. · 2 x Stainless Steel Clamp. · 38mm compact design with quiet operation. · Off set inlet easily to install. · 1 x Fuel Strainer. For ★★★★★ISO/TS16949& QS900 STANDARD. ★★★★ ★<0.5%DEFECTIVE RATE. Techinal Data. · 38mm compact design with quiet operation. · 1 x Fuel Strainer. · Offset inlet easily to install. · Flow Rate:110LPH. · 1 x Fuel Strainer. · Current: 5.0A. · Off set inlet easily to install. · Flow Rate:110LPH. · 38mm compact design with quiet operation. · Off set inlet easily to install. · 1 x Fuel Strainer. 255lph/300lph/340lph Fuel Pump. 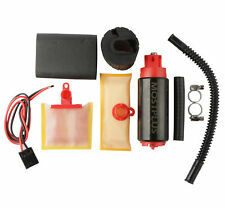 Motorcycle & ATV Fuel Pump. Fuel Injector. · Overall Length (tip to tip): 4 1/2" (11.5cm). Polaris Ranger 500 EFI up to 2010. Polaris Ranger 700 EFI up to 2010. Polaris Ranger 800 EFI up to 2010. Polaris Ranger 6X6. · 1 x Fuel Strainer. · Current: 5.0A. · Flow Rate:110LPH. · 38mm compact design with quiet operation. · 38mm compact design with quiet operation. · 1 x Fuel Strainer. · Offset inlet easily to install. TWO YEARS WARRANTY.